1. HOW DOES THE PICK UP AND DROP OFF AT THE AIRPORT WORK. Your rental car will be available at the airport, full of fuel, with a complementary driver to come back to Jaco if you wish and as long as your rental is minimum of 1 week . Returning your rental to the airport can be arranged by picking up the driver at the Zuma office in Jaco and he will drive you and your rental to the airport or Hotel in proximity of the airport. You cover the pay tolls, parking lot fee on arrival, and refilling the vehicle on returning to the airport. One week minimum rental price will apply for rental\'s from/to the airport or close by (you can rent for few days less than a week but you will be charged for 1 week. 3. ARE THE INSURANCES INCLUDED IN THIS PRICE ? 4. I HAVE A CREDIT CARD THAT COVERS CAR RENTAL INSURANCES, DO YOU ACCEPT IT ? YES. In this case you decline CDW so your credit card covers that side of our insurance. All the other insurances are covered by us with 0 deductible. 5. WHEN WOULD YOU CHARGE MY CREDIT CARD ? The day you sign the contract, there will be $l000 deposit and the value of the rental frozen on your credit card during the entire time of the rental. Upon returning the vehicle, the rental is charged and the deposit is unblocked once the vehicle has been inspected. 6. CAN I USE SOMEONE ELSE\'S CREDIT CARD? 7. CAN I USE A DEBIT CAR browser. YES, We do accept debit cards but your bank will often take 3 weeks to reimburse the deposit. 8. ARE PRICES IN US DOLLARS ? The driver will be at the airport exit door with a sign with your name on it. YES. ZUMA must be notified 24 hrs. before. 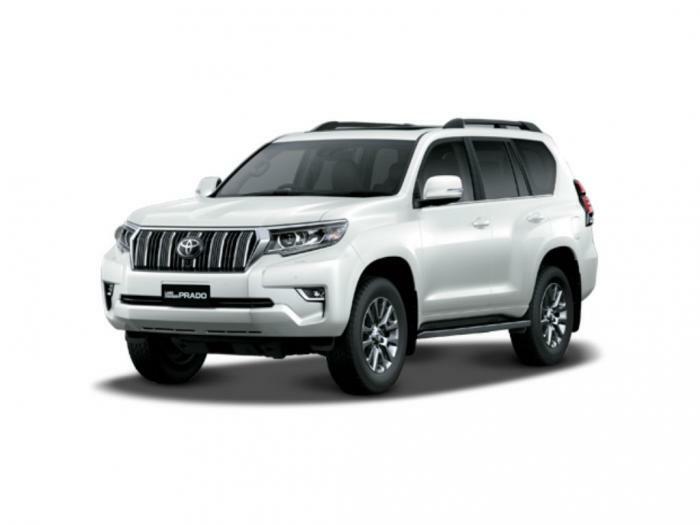 Reserve a Toyota Land Cruiser Ultimate in security and comfort on the road. Designed to provide refined comfort & rugged dependability.